Beauty Care Choices: Does the mirror show you looking tired. Go lighter! Does the mirror show you looking tired. Go lighter! Been wearing black liquid liner for ages? Always been fond of a bolder brow? Just because you’re used to it doesn’t mean it’s the best. If you’ve been looking unusually tired in the mirror, consider going for lighter liners. This tip is helpful in particular for those of us over 40 who are struggling to apply liner to the changing landscape of our eyes. 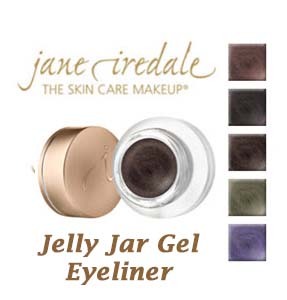 First, choose a gel or cream eyeliner, and select a very finely-tipped brush for application. Now choose a shade of medium brown that won’t be as unforgiving as jet black. The formula won’t tug like pencil or skip like liquid, and the softer color will open up the eye more, making you look more awake. For brows, try going one shade lighter. If you’re blonde or silver, you can go one shade darker than your hair, but only one.